Which political party is closest to the business lobby? This time around, the think tanks of the corporate sector of the country are asserting themselves and are closely watching the economic agendas of leading parties. With general elections ahead, every leading political party claims to have the solution for the country’s chronic economic problems in their ‘economic agenda’. While some parties have revealed their economic agendas in the last few months, many have not bothered to fulfill this basic formality. There is not a single political party in the country that can claim to have the confidence of the business community. The failure of the Pakistan Peoples Party government in handling the economic affairs of Pakistan has compelled a large number of businessmen to look at the Pakistan Muslim League-Nawaz or the Pakistan Tehreek-e-Insaaf (PTI). Sensing this opportunity, both the PML-N and PTI have tried to woo the business community with their distinct economic programmes. The strongest point that the PML-N has over the PTI is its past experience of running Pakistan’s economy and a relatively experienced economic team with former finance minister, Ishaq Dar. On the other hand, the PTI has two strong names in its economic team, one is Asad Umer and the other is Jahangir Tareen. Very few in the corporate sector of Pakistan would doubt the integrity of Asad Umer, former CEO of Engro Corporation, but him and his party are fairly inexperienced compared to their competitors. 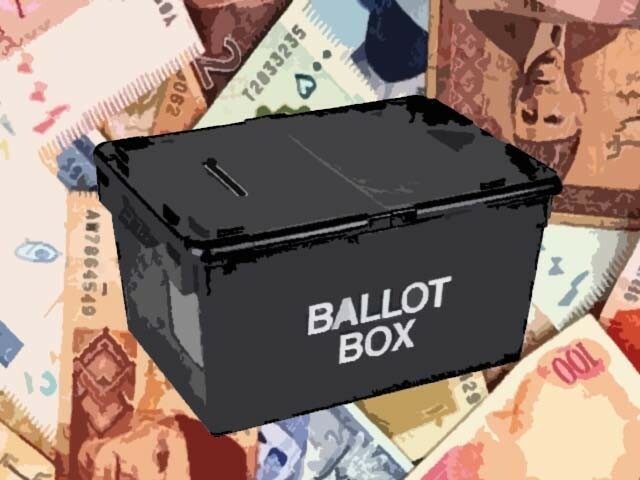 While the PTI’s economic team has earned respect in the business community because of its continuous interaction with stakeholders, the economic team of the PML-N seems mainly relying on its strong electoral power and past experience. The PTI deserves appreciation for focusing on key economic issues, like increase in regional trade, increase in tax collection, solution to energy crisis and privatisation of state-run enterprises. Although the PML-N is also in favour of regional trade, it is yet to come up with concrete policies on energy crisis, security challenges and state-run enterprises. It should know that its relative popularity in the business community is not because of its hard work but because of the extraordinary failure of the PPP in dealing with the crisis and other major economic problems. This time around, the think tanks of the corporate sector of the country are asserting themselves and are closely watching the economic agendas of leading parties. The concept is to maintain continuous pressure on parties for ‘tough measures’ that any new government would have to take in its first year. A reporter on the business desk of The Express Tribune. Can Pakistan learn from Belgium? Budget 2012: What about tax collection?